But but but Miss....I have an excuse note honest...well the dog ate it...but anyway.... 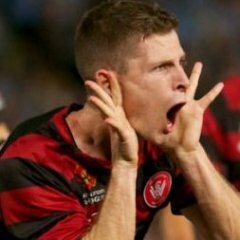 I wasn't in the country from 2005 when the NSL ended and didn't return until late 2010.......if I was still here I might have done......but when I came back I knew **** all about the HAL until WSW was brought to life. You, young man, are excused! PS I don't feel guilty at all! I did what I did to support the A League. And so did Stringer I'm sure! uggghhhh the depths some people had sink to! But i am sure I speak for all here when I say thank you for doing what you did, it was beyond the call of duty and I hope the year long scrubbing, washing and psychology sessions all helped. The match is on Saturday 10 November. What!? My hubby goes to QLD for the Masters Games that week! Hmmm... to be a supportive wife or a Wanderer......? You have to think about it? See you in Mudgee! 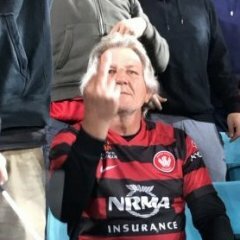 pffftfttttt Perth at Parra Stadium before Wanderers you say..... I was there to see Parra Power take on the Glory a few times at Parra, including a GF......usually no more than 150 of us there......seems like a different world ago. I am proud to say I wasn't there to see ESFC play though. I was at that GF too. How that game got played is beyond me. Boy did it piss down! Lol - I was there! PS An unforgettable experience. If you were there - you'll know why. ^^^Yes...in attendance at that game...in full voice! So we add you to the list of those present, eh Taurus! Put the pressure back on your husband. Does he want to attend the Masters Games (tbh I don't know what that is)....or be a loyal Wanderers supporter? is there a date confirmed for this game? As long as we get 13 home games as part of our membership then its okay isn't it? If this WAS included in our membership and we only got 12 home games, I'd be much more annoyed. Its the opening shot of WSW Complete. Oh and you can see me in the footage used in that vid. As well as the core RBB. As I recall, you lot all stood on the fence line in front of The Shed. They were happily singing their songs....accompanied by the cowbell ( I think ) … and then you guys started up in the second half!! But having the entire Cove chant "F+++ off Rovers!" when 20 people entered the bay was hilarious. There was definitely a bus load of people from The Shed...with their cowbell!! And yes, you were in the Western Stand down on the fence in a corner bay, and they weren't far from you guys...and behind you. It was probably the last time they called a tour of duty to Sydney. I had a great view of it all! I don't remember the reaction of The Cove - but I reckon you "Rovers" supporters got in a few more ….er…..choice words that they did! Well you missed a birth of sorts! Haha that’s just what I did. I think I have just about convinced him that a Mudgee road trip is worth ditching his team and the Masters game for! I was there Wendy at the ESFC/Glory game in the A-League...…..for the sole reason that I also wanted to see the A-League succeed, and wanted to see what a proper football atmosphere was like at Parra. To be honest, I never found that out till the Wanderers were formed. **** that blue mob were a joke. In other news, I was once the whole La Banda at a Parra Power game. A drum and drumstick was thrust upon me when I arrived, which I couldn't beat for ****. My timing and rhythm was worse than Sotirio's passes. PS. I've still got my Parra Power shirt hanging in the wardrobe. Even the moth's won't touch it. Yes...it took the Wanderers....but what happened before was still important imho. That Perth game ...and the presence of the Rovers/RBB core was interesting as a starting point for the intense rivalry that was obviously going to erupt further along. I'll never forget just walking along O'Connell St before the first game...and high-fiving people in cars waving their arms out car windows when they were stopped at lights as we crossed side streets. I really really hope some of that joy and intensity returns when we get back to Parra. Fans will be desperate, and our only memories will be happy ones. I've already forgotten the bad days, and all I ever think of is great ACL nights and cracking A-League games. 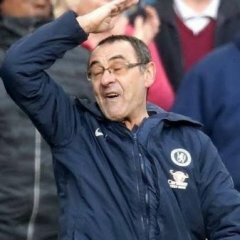 That will be the feeling when we return. Mr Babbel will ensure that next season.